What It Is: A fast-acting, two-step daily treatment for clinical results at home. Our strongest dose of 7 acids plus antioxidants and vitamins lift away dead skin along with excess oil & impurities, while improving uneven tone & texture. What’s In It For You: 2 minutes to smooth, beautiful skin: experience immediate radiance and see beautifully transformed skin with daily use. Your pores look smaller, lines fade, and your skin looks more even, balanced and clear. The rest of your skincare absorbs faster and makeup goes on better for ageless-looking skin. Over 90% of women felt that the Extra Strength Alpha Beta Peel made them feel like they were getting professional results at home. After just 1 day of use, 88% of women said that they would use the Extra Strength Alpha Beta Peel everyday to maintain younger looking skin. For optimal results, use daily AM or PM. First time peel users may apply every other day until skin becomes acclimated. Massage Step 1 onto clean, dry skin until pad is dry. To further enhance results, follow with a serum and moisturizer of your choice from Dr. Dennis Gross Skincare™. DR DENNIS GROSS ALPHA BETA EXTRA STRENGTH DAILY PEEL - ok, there is a face feel explosion going on. There are everywhere but try this one. Not sure how much benefits it give for long term by using it daily but just using it a one time gave my face a refreshed look and feeling. I love Dr. Dennis Gross Alpha Beta Extra Strength Daily Peel! I have recommended it to many people and will make this a product of choice! 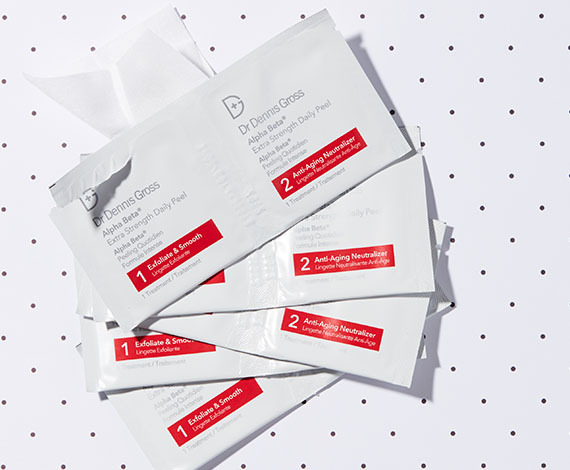 I love this prodcut Dr. Dennis Gross Alpha Beta Extra Stength Daily Peel, because it makes my face very clean, and it does not cause any irritatation when I apply. The extra strength daily peel was great. Dr. Dennis Gross has great product with great results. This is an ACID peel. Expect burning and a harsh red rash (especially on your cheeks immediately after application). If you are not used to chemical peels, this is NORMAL. I felt like the results were very similar to a spa's treatment and was impressed by the results the following day. Left my skin feeling smooth and revived. I would defiantly recommend! Dr Dennis Gross 'Alpha Beta Extra Strength Daily Peel is so awesome. 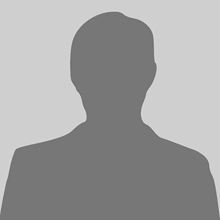 At first i was skeptical but this product is amazing that amazing i already bought more. Thank you its great. 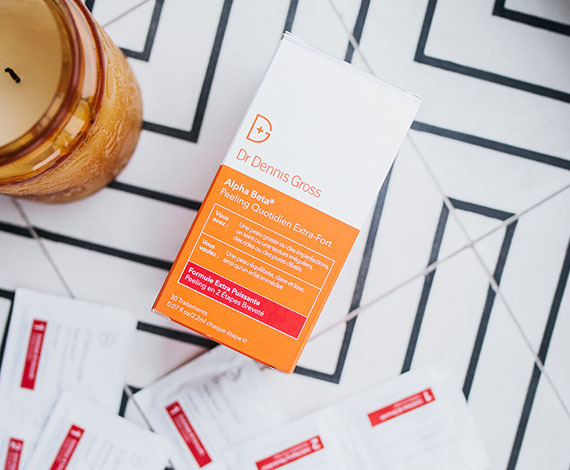 Pinch Me sent me a sample of Dr. Dennis Gross Alpha Beta Extra Strength Daily Peel and I have already purchased more! I have problematic skin and it worked great for me - it worked hard but without being too drying and my skin felt so soft and clean after using! I would recommend this peel to anyone that is looking for a product that they can use on a daily basis! Peel was really good and made my skin feel amazing after the very first use. I feel rejuvenated and radiant. I really loved this Alpha Beta Extra Strength Daily Peel, by Dr. Dennis Gross! My face was significantly smoother after the first use. I followed up the treatment with my usual serum and moisturizer (different brand). After the second day, I also noticed reduced pores. I will definitely continue to use this! Sidenote: The first step causes a slight burning sensation. But it's bearable. The second steps is a lot more calming. 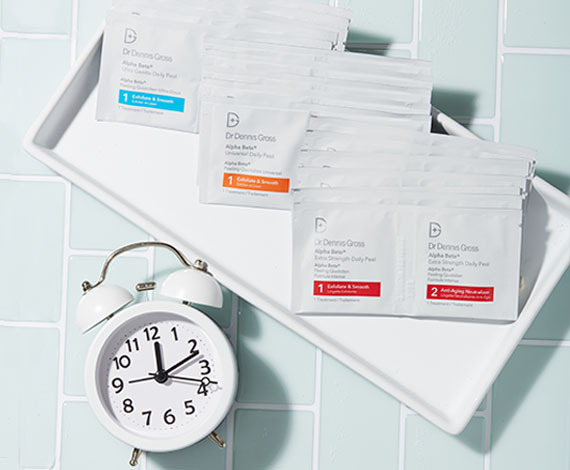 I received this Alpha Beta Extra Strength Daily Peel by Dr. Dennis Gross as a free sample from PINCHme. I was nervous at first because the thought of a face peel at home is nerve wracking! I followed the instructions and it was super easy. I am impressed with the outcome, my skin is soft, smooth and moisturized, I feel amazing! This really did give me some extra confidence and on the plus side, I didn't break out or have any of the nasty side effects of a regular peel. 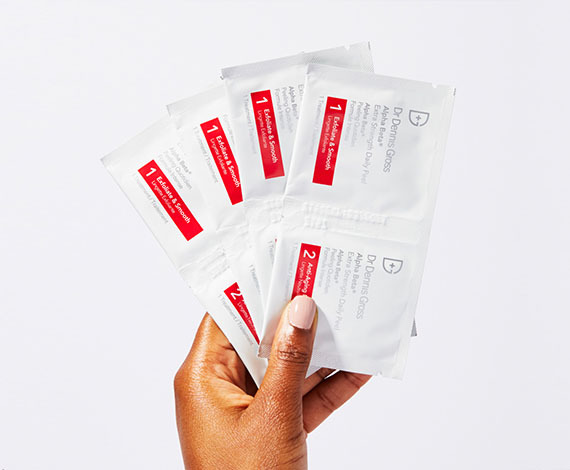 Dr. Dennis Gross Alpha Beta Extra Strength Daily Peel are both convenient and effective! My winter skin is prone to breakouts and this is a great in home peel treatment to start fresh! It dries out blemishes and allows me to have even skin for makeup application. It is a must have for flights and travel bags too! I loved trying Dr Dennis Gross' Peel. I have seen the product around and always wondered. Most peels give me a chemical burn ,but not this one! I really enjoyed the product and my skin felt really smooth and looked radiant after. I also liked getting more than one treatment to see if I really like the product and if I'm getting results. I do and I am so I will be purchasing this one. Overall, I would say that the Alpha Beta Extra Strength Daily Peel was a nice product. It helped clear up my complexion and reduce the redness and irritation on my face. I didn't find the scent too strong but it was easy to apply and pull off. I would recommend to others. Dr Dennis Gross Alpha Beta Extra Strength Daily Peel is my new go to product for at home facial peels. At first, I was very hesitant to try this as I felt a chemical peel would be too harsh for my skin which is oily/combination. The Alpha Beta Extra Strength Daily Peel was a game changer for me! It did not burn, sting or leave any kind of residue on my skin. It was gentle and my skin felt baby smooth at the end! I still have two treatments left, so I will try to use these maybe once every 2 months to avoid over exfoliating my skin. I started using the samples from Dr Dennis Gross alpha beta extra strength daily peel and it's my third sample. I think my eye bags are thinning out. I might get more from Sephora. It smell very good. I tried the Dr.Dennis Gross Alpha Beta Extra Strength Daily Peel today and loved it. I have sensitive, combination skin, and it was completely non-irritating. I will purchase in the future. I had used this peel in the past, primarily for acne/scarring. Hadn't used in years. I forgot how amazing they are. I have recently been dealing with fine lines and wrinkles on my cheek due to the sun. I tried this Dr. Dennis Gross product Alpha Beta Extra Strength Daily Peel and have been very pleased with it. Thank you PinchMe for letting me try out this amazing product free before I purchase. Dt. Dennis Gross Alpha Beta Extra Strength Daily Peel has a nice scent and left my skin feeling smooth. I did not try enough to determine long term results. This was an amazing fast way to get glowing skin. The concentrated amount of glycolic and lactic acids makes this peel so supremely effective. I have used 2 out of the three 3 samples over the week and my skin has improved dullness is gone as well as dry patches and the over all tone of my face has balanced greatly. My skin can tolerate pretty high dosages of acids so I got very little irritation. Worked very well.